The importance of the global financial cycle is currently at the center of many policy and academic discussions. Especially dangerous for emerging economies, the highly synchronised credit booms and busts that advanced economies suffered recently suggests that it is also a problem for the EU and the US. However, the following graph, extracted from the last BoE Financial Stability Report (yes, you can tell I’m starting working there in three weeks), shows a country that did not suffer any credit boom. What did Germany do? Obviously, the German difference was not centered around banking regulation, and was mainly related to very important structural reforms, as this JEP article explains. 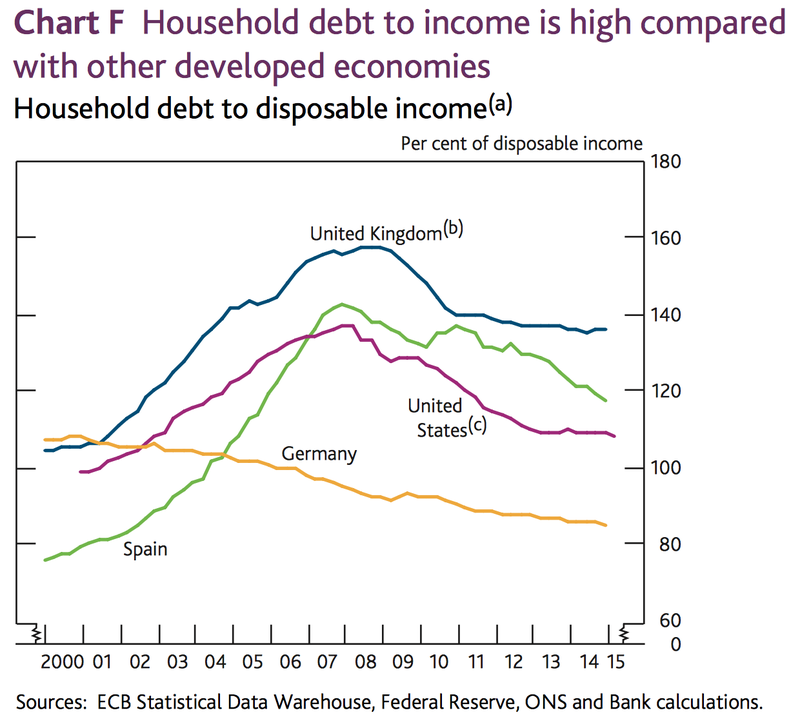 I take two things from this picture: one, even if you are very integrated in the global market -as Germany is- there are ways to prevent a ‘bad’ credit boom from happening. Second, these ways may go well beyond banking regulation.